Can I Play OtosLotto Online? Read Reviews! 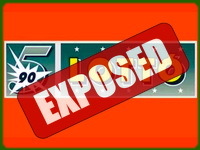 OtosLotto Exposed: One of Europe’s Oldest Lotteries + Lucrative Jackpots = A Big Win for Players? Hungary has a number of cool lotteries and OtosLotto is one of them. By far, this is the oldest and most popular lottery in the country. It’s been around since 1957 and frankly, we haven’t examined many other lotteries that have managed to maintain their reputation for so long. OtosLotto is a cool game and the jackpots can add up to pretty spectacular amounts. With a jackpot rollover amount that has currently reached 1.1 billion HUF, it’s easy to see why OtosLotto is the country’s favorite. OtosLotto was introduced way back in 1957, which makes it Hungary’s oldest lottery. OtosLotto or Lotto 5, as it’s also known, hasn’t changed that much over the years apart from one major modification that was introduced in 1993. The addition of a joker bonus number increased the sizes of the OtosLotto prizes, boosting the popularity of the lottery even further. With a bigger number of ways to win a prize, OtosLotto continued winning the hearts of devoted lottery enthusiasts and gaining more fans from all parts of the world. Far from it, otherwise it certainly holds the record for one of the longest running scams in the lotto world. OtosLotto is operated by a national entity called Szerencsejáték. This national operator came into existence in 1991 and it’s responsible for some of the countries most popular lotteries like OtosLotto, HatosLotto, EuroJackpot, Toto and GolToto. So, you can give this lotto a try confidently and without worrying about the fate of your money. Even if you don’t win, the amount spent on the ticket is going to go to a good cause. OtosLotto follows a simple format – choose 5 numbers from a matrix of 90 and win the jackpot. In addition, you may want to choose a joker number in the range from 0 to 9 and increase the number of ways in which you can win a prize. Remember that you’ll have to pay a bit more to add the Joker to your ticket. The standard ticket price, however, is under one dollar. Even if you add the joker, you’ll still end up spending a lot less than what you’ll have to pay for another international lottery. There’s a minimum guaranteed jackpot of 60,000,000 HUF and the lower prize tier earnings can be lucrative as well. Let’s take a more detailed look at the prizes and the odds of winning each. As you already know, Hungary’s Lotto 5 has a guaranteed minimum jackpot. What’s even better, the jackpot rolls over to the next drawing in the case of no winner. The jackpot continues rolling over for a period of one year if there’s no winner. If nobody wins the spectacular amount within this one-year period, the jackpot money rolls down to the lower prize tiers. It all sounds great and you’re probably wondering already about the catch. There certainly is one. The odds of getting 5 numbers correct from a total of 90 possibilities aren’t that high. Your chance of winning the jackpot is the unimpressive 1 in 43,949,268. Still, there’s no need to feel despair. The lower tier prizes are a bit easier to hit and they also feature nice sums. Recently, for example, there were 943,155HUF (3,272 dollars) for those guessing 4 correct numbers) and a prize of 13,760HUF (47 dollars) for 3 correct matches. Needless to say, these numbers vary from drawing to drawing, but they give you some idea about what can be expected. Winners get 90 days from the date of the drawing to claim their prizes, which is a standard practice for European lotteries. Szerencsejáték pays out all of the prizes, jackpot included, in the form of a lump sum. Smaller prizes of 720 dollars or less (200,000HUF) can be claimed through any retail point that sells tickets. For larger prizes, there are specialized procedures. The winner will typically be required to call Szerencsejáték and make an arrangement for the collection of a larger sum. Hungarian lotteries come with tax-free winnings, but if you’re an international player, you may want to check the local regulations. International players have access to OtosLotto through online lottery agents. Online lottery agents are service providers responsible for purchasing tickets on behalf of their customers (there’s a percentage commission for the service that’s added to the prize of the ticket). Through online lottery agents, people from all parts of the world have gained an opportunity to try numerous international lotteries. OtosLotto is no exception – you’ll simply have to find an online platform that sells tickets for it. Would you mind rating OtosLotto? OtosLotto, as you can see, is a fun and exciting opportunity to test your luck and potentially win a great jackpot. This game has its specifics and here are some of the most important advantages to keep in mind. Should you give OtosLotto a try? The answer depends entirely on your individual preferences. It’s one of the great international lottos and it’s 100 percent legal. True, the odds of winning the jackpot are unimpressive, but the jackpot itself justifies the (miniature) spending on a ticket. How Much Does It Cost to Play OtosLotto Online? Though this lottery does get up to good jackpots, part of the reason is the odds. You are choosing 5 numbers from 1 to 90. I’m still not sure the effect of picking or adding the joker and that might increase the odds, but still this is a long shot lottery.